﻿ Spring Tide Inn Cape Town. JIMAT di Agoda.com! Ada soalan mengenai Spring Tide Inn? Terletak di Sea Point, Spring Tide Inn merupakan tempat menarik untuk memulakan pengalaman di Cape Town dan kawasan sekitarnya. Hotel ini tidak terlalu jauh dari pusat bandar: hanya sejauh 3.7 Km, dan kebiasaanya mengambil masa kira-kira 35 minit untuk sampai di lapangan terbang. Syurga untuk berehat dan bersantai, hotel ini akan menawarkan pembaharuan penuh hanya beberapa langkah dari pelbagai daya tarikan bandar seperti Pro Divers, Sea Point Pavilion, Cape Sidecar Adventures. Menawarkan tetamu perkhidmatan yang unggul dan pelbagai kemudahan, Spring Tide Inn komited untuk memastikan penginapan anda berada di tahap seberapa selesa yang mungkin. Semasa menginap di penginapan yang indah ini, tetamu boleh menikmati Wi-Fi percuma semua bilik, simpanan bagasi, Wi-Fi di tempat awam, tempat letak kereta, pengangkutan lapangan terbang. 9 bilik di sepanjang 2 tingkat menyediakan suasana nyaman dan menyenangkan. linen, internet wayarles, internet wayarles (percuma), bilik larangan merokok, pemanas boleh didapati di beberapa bilik. Sama ada anda peminat kecergasan atau hanya mencari cara untuk bersantai setelah seharian bekerja, anda akan dilayan oleh kemudahan rekreasi kelas tertinggi seperti taman. Dengan lokasi yang ideal dan kemudahan sepadan, Spring Tide Inn sangat memuaskan hati. 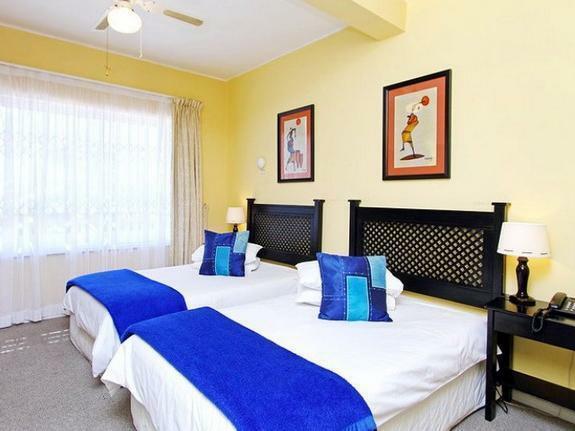 Wonderful and helpful staff, plentiful breakfast, comfortable room and only a short stroll from Beach Road. Earl really gives it his personal touch, from morning breakfast to any little help required. Sandwiched between the shore and market the location is ideal. 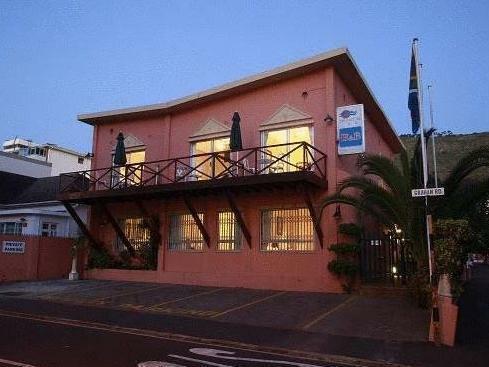 We chose to stay here as it was really close to the beach and not far from the city centre, as well as a 2 minute walk from several MyCiti bus routes. The location was great. The inn was comfortable and the room was a decent size. Breakfast was good and the staff were friendly and helpful. The only issue we had was that the room closest to the street and front door was quite noisy, with cars and people slamming the front door as they went in and out. Very nice hosts. Good breakfast. Easy to go with myciti bus to the center. Many restaurants around for the evening. Beach promenade safe and easy 2min walk. We couldn't sleep because the hotel is located next to a busy road. The noise of cars passing by was unbearable Our room wasn't cleaned on some days - we found ourselves using having to wash cups / glasses. The breakfast was the same for the entire 6 days we stayed at the hotel - cereals, bacon and eggs and a fruit salad (occasionally). The staff at Springtide are absolutely accomodating. The lady who cooked the daily breakfast did a terrific job! Parking is free if you rent your own car. Just mins away from the sea where you can have jogs or walks every morn and evening. Three best things are the welcoming attitude of the staff and large, comfortable rooms; also the location - halfway between the main road and the seashore. We could not fault our stay at this little boutique B&B. The lady doing the breakfast was excellent and accommodating . We lived the closeness to restaurants, shops and the beach. The B & B is located walking distance from a shopping/restaurant strip. Also within one block is the boulevard with great walking track. Small, friendly hotel with easy access to many of the attractions of the Peninsula and also the airport. Stayed for three nights. Very good location, close the city and good beaches. When we arrived we Got upgraded to a nicer room. Could see a little bit of the ocean from our balcony but can hear the ocean. The promenade is one road down, great for morning runs/walks. Rooms aren't fancy but comfortable. Only downside is there is no aircon. Breakfast was nice. Good team of people there, made us feel very comfortable. Would stay there again. Really great breakfast, excellent value. Very friendly and helpful staff. Spring Tide is conveniently located for trips/business on either side of Table Mountain,close to arterial roads in both directions. They are also only a block away from the Promenade - you can see the sea from the parking area and can walk along the Promenade towards Clifton or Mouille Point. We were in room 1, which is between reception and the laundry and as such, a bit noisy but the room is a decent size with a huge comfy bed, really nice linen and a nice big bathroom, so a bit of noise not a problem! I'm sure the balcony rooms on the second floor would be more quiet and private. Delicious breakfast and very nice staff and overall excellent value. We loved our stay, thanks very much to everyone. Mycket trevligt och familjart B&B. Bra dusch och toalett pa rummet. Bra frukost. Det var en ganska brant uppforsbacke till detta B&B som ligger nara Pingvinkolonin men en bit utanfor centrum. Vi akte tag till Simons Town fran Cape Town R14 for 70 min tagresa. Allt som allt en trevlig utflykt.